IEC 60255-181:2019 specifies the minimum requirements for functional and performance evaluation of frequency protection. This document also defines how to document and publish performance test results. 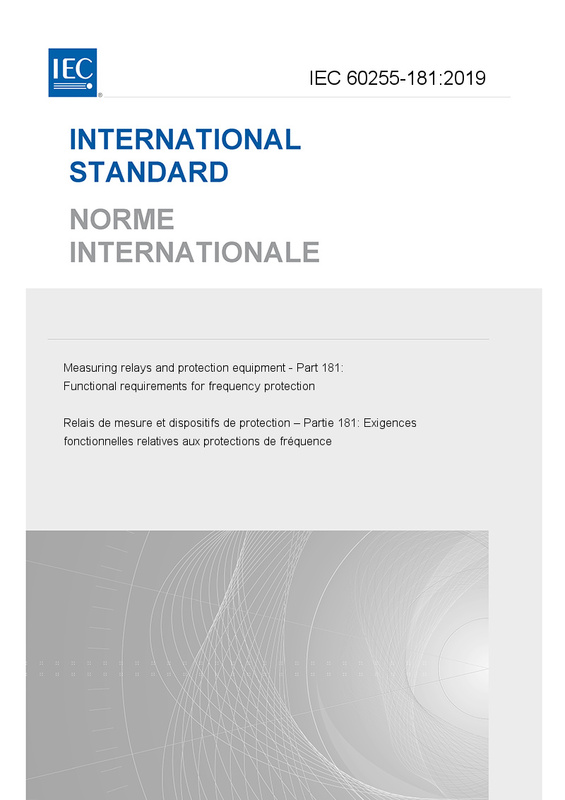 This document covers the functions based on frequency measurement or rate of change of frequency measurements. This document also covers frequency protection where additional blocking elements are used. This document defines the influencing factors that affect the accuracy under steady state conditions and performance characteristics during dynamic conditions. The test methodologies for verifying performance characteristics and accuracy are also included in this document.